Mercury treaty debate: Should thimerosal be banned as a vaccine preservative? 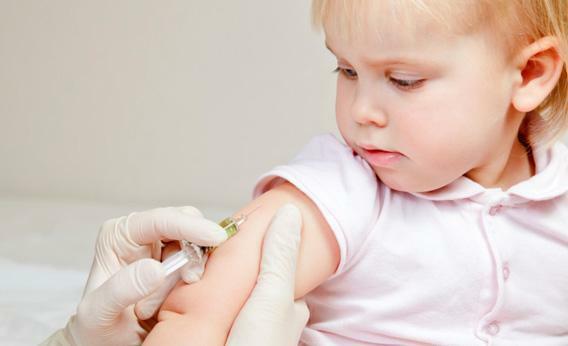 Banning a vaccine preservative would endanger millions of children. Some forms of mercury are a health concern, but there’s nothing to fear about the thimerosal found in vaccination shots. Update, Jan. 19, 2013: The United Nations Intergovernmental Negotiating Committee has decided not to ban thimerosal. This week, governments from around the world will gather in Geneva to finalize a long-overdue treaty on mercury. The aim of the negotiations is laudable: to ban those mercury-laden products and pollutants that are a danger to human health and the environment. Another compound facing a possible ban, however, is a benign medicinal preservative called thimerosal. Although it contains mercury, there is no evidence that it is harmful. In fact, it helps save the lives of more than a million children every year. Banning it would be a grave mistake. Thimerosal aside, the world clearly needs to deal with mercury pollution. Mercury is a powerful neurotoxin that is especially dangerous to unborn children. Estimating its global impact is difficult, but in some populations almost 2 percent of children are born with mental retardation caused by mercury poisoning. Much of this mercury comes from industry, which consumes about 3,400 metric tons of the element a year. About a third of this is used in batteries, 800 tons in a process called chlor-alkali manufacturing and 650 tons in so-called artisanal mining. Most eventually finds its way into the environment, along with mercury released from burning coal, smelting metal, making cement, and incinerating waste. Large quantities of mercury are also released by natural processes such as volcanic eruptions, forest fires, and erosion. The United Nations Environment Program estimates that the total global emissions of mercury are between 4,400 and 7,500 tons a year. Mercury released into the environment eventually finds its way into oceans, lakes, and rivers, where it is converted into methyl mercury by microorganisms. This toxic compound accumulates up the aquatic food chain and is often concentrated at high levels in fish, shellfish, and marine mammals—and ultimately in the people who eat them. Methyl mercury in food is the biggest cause of mercury poisoning. Thimerosal also serves an irreplaceable function. It has been added to medical products since the 1930s as a preservative, including in vaccines packaged in multi-dose vials. These are especially vulnerable to bacterial and fungal contamination because many doses are drawn from each vial. Single-dose vials, in contrast, are used once and then thrown away. Vaccinating from multi-dose vials is cheaper than from single-dose ones. Multi-dose vials also take up less space, reducing the amount of refrigerated storage required to get them to where they are needed. They are thus particularly important for poorer countries, which do not have the money or facilities to use single-dose vials for large-scale immunization programs. Currently 120 countries, accounting for 64 percent of global births, depend on thimerosal-containing vaccines. These prevent an estimated 1.4 million child deaths a year, according to the World Health Organization. At present there is no substitute. Thimerosal is also added to influenza vaccines, which can be important in developed countries. The consequences of banning the compound are therefore wide-reaching and dramatic. A number of developing countries have expressed concern over thimerosal’s proposed ban. Public health experts around the world, including the WHO, have no doubt about the importance of allowing it to remain in vaccines. So why has thimerosal been dragged into the negotiations? The debate is partly fuelled by a historic confusion between risks ascribed to methyl mercury and the ethyl mercury in thimerosal. In 1999, the American Academy of Pediatrics and the U.S. Public Health Service issued a joint statement recommending the removal of thimerosal from vaccines as a precautionary measure, following a U.S. Food and Drug Administration review. At the time there was abundant evidence that methyl mercury was toxic, but little evidence on ethyl mercury. Additional pressure came from rumors of a link between thimerosal and autism. Since then, however, numerous studies have shown that thimerosal is harmless. In 2006, an expert panel convened by the WHO issued a statement on thimerosal in vaccines, concluding that there was “no evidence of toxicity.” It highlighted the fact that while methyl mercury builds up in the body, ethyl mercury is excreted rapidly. The American Academy of Pediatrics has since endorsed the WHO’s position. Nonetheless, a handful of well-meaning campaigners still believe that thimerosal is harmful. Led by two groups—the Coalition for Mercury-free Drugs and SafeMinds—they have brought the thimerosal “debate” into negotiations designed to address environmental problems. What happens next depends on the negotiators. The latest draft treaty does not specifically name thimerosal, but there is a clause that leaves the door open for additional items to be added. There is no question that mercury is dangerous. But thimerosal is not a threat, and banning it would create far more human misery than failing to negotiate a treaty at all.